2 Which One Should You Choose for CTR’s? A click-through rate, or CTR for short, is the rate at which your ad, website, or content is being clicked on or viewed. The benefit of viewing your CTR rate is the ability to see how well your marketing is performing, whether you are utilizing Google Ads (PPC/SEM) or Google Organic (SEO). But within the two options, it can be challenging to decide which one to put most of your effort into. Fortunately, both are great marketing verticals to boost your brand’s online presence, though they are entirely different from one another. 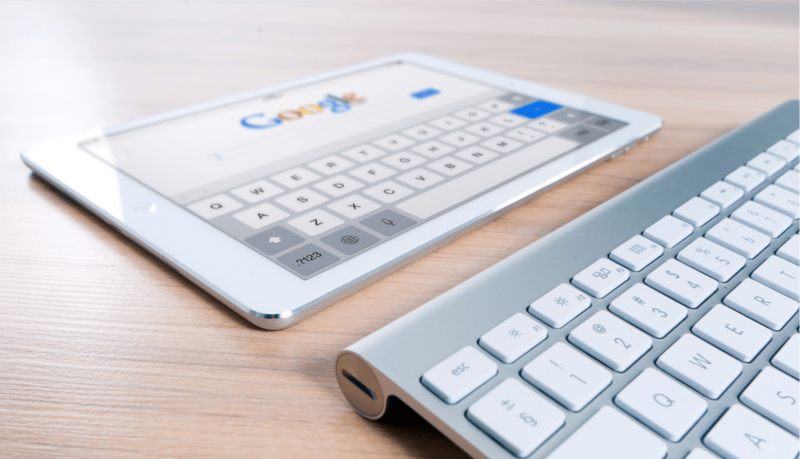 Here are a few tips to consider when choosing either Google Ads or Google Organic for your upcoming marketing campaign. If you’re a digital marketer or business looking to expand your brand’s online presence, especially to be visible higher in the search engine results, Google is one of the best tools you can use. Google Ads, is an online advertising platform, owned by Google, where you can pay for banner ads on Google Search to display your company’s information, products, announcements, and more. Traditional banner ad pricing was previously based on weekly, monthly, and yearly rental cost points. Today, digital marketing banner ads are based on PPC or Pay-Per-Click, as well as other price points depending on the market you’re in. If your business is on a strapped budget, Google Ads can be a fantastic option for your brand to be positioned at the top of the search results for specific queries. Google Organic is an effective digital marketing method that uses organic search results to boost your brand’s online presence. Although this is a “free” way to give your brand a boost online, it can be hard to compete with larger businesses. However, investing in digital search engine optimization is a great way for your company to start working towards more significant online marketing campaigns. Plus, they’re much more effective in the long run when compared to Google Ads, as with Ads, you’ll have to constantly update your Ad budget. Which One Should You Choose for CTR’s? Many factors go into deciding whether to use Google Ads or Google Organic for click-through rates to measure the effectiveness of your digital marketing campaign, including your budget, your brand’s goals, what you’re promoting and more. According to a study by Bright Local on CTR’s from the search results for local search terms, results that display Google Local Service Ads (LSA) are nearly 14% of local Search Engine Results Page (SERP) clicks. In this instance, Google Ads only accounted for 11% of the overall clicks. Although Google Organic receives the most click rates of all listings, they’re significantly less when extra features in the Search Engine Results Page (SERP) are present, including Featured Snippets, Product Listing Ads, People Also Ask and much. But here are a few other factors to keep in mind when choosing Google Organic or Google Ad for CTR’s. Google Organic CTR’s are a great way to get started in digital marketing and advertising if you’re not quite ready to start a future with Google Ads. Especially if you’re a small business, creating an ad budget, routinely checking your dashboard analytics, optimizing the campaign to achieve peak-performance and figuring out the best copy for your online Google Ads can be quite intimidating. Rather, it’s easier to consider what organic keywords your brand should focus on and regularly measure how they’re performing, and make changes when necessary. If you have a lot more to promote, Google Ads will provide you with more variety and flexibility to place banner ads on Google, which can help nurture your potential customer to take action on your new service or product. But you can’t forget that your Google Ads budget might run out, which will prevent you from continuously tracking your CTR, whereas, with Google Organic, you can continually monitor your CTR. In fact, Google Organic has shown to get brands the highest amount of CTR’s. The average CTR for Google Ads is 2%. Since the average search ad CTR is 1.91%, this could look very good for your brand. First, you’ll need to create a Google Ads account by setting a budget and building your first PPC ad. Fortunately, this type of digital display advertising can be suitable for just about any budget. You’ll need to have an understanding of the wide variety of options to ensure your ads run as fluently as possible. Sometimes Google will recommend specific options int he campaign backend. It’s best to consult with a PPC specialist on the proper preferences to ensure your budget is used towards your final end goal. Once your ad is live, you can start tracking your click-through rate (CTR) in your Google Ads dashboard and adjust the ads as needed to reach your pre-determined goal. The process for tracking your click-through rate for Google Organic is a little different than Google Ads. Since organic search results can’t be bought, tracking the CTR from organic to your website could be a bit more challenging and require slightly more work. Utilizing the statistics on the average CTR in organic results only, you can estimate your clicks based on your positions for that keyword, as well as the monthly search volume as those search terms. By having a catchier Meta Title forcused on the search intent, you can icnrease your CTR over your competitors. You won’t be able to see a lot of information on the demographics of your Google Organic CTR’s, which can be challenging if you’re looking to hone in on your ideal customer profile. However, by pairing Google Organic with Google Ads, you can quickly rise above your competition. Fortunately, there are many ways you can improve your CTR, from both Organic and Ads verticals. To start seeing changes to your CTR, you should consider the copy you use in your page title and ad copy title. For organic search, ensuring you have a clean and informative URL will also help. Although there are dozens of other ways you can see improvements to your CTR, these three key areas can help improve your organic traffic and CTR of online ads you’re paying for. The great thing about digital marketing is that it’s always changing. However, that also means that businesses have to be continually adapting at the same time. Today, click-through rates are an ideal tool to measure your search engine success and digital advertising efforts. In the future, you might be dealing with an entirely different system altogether. It’s impossible to know what the future may have in store, but the ability to track your ad campaigns and search engine optimization will be continually advancing and improving.